There’s no way the unsuspecting vandal on the fifth-floor roof of the DoubleTree Hotel in Streeterville could have known what he was about to expose when he kicked a hole in the wooden box as he walked by. “I’ll bet he had to throw those shoes away,” Scott Walton, the executive chef of DoubleTree’s Markethouse Restaurant and Bar, says cheekily. He’s recalling the scene last summer, when he found a stinking, slimy slop pile baking under an eighty-five-degree sun on the roof of the building where he works. It was a hot mess of coffee grounds, sections of rotting fish skeletons and decaying egg shells. The pile wasn’t a failed entree for his restaurant; it was a successful experiment in which the food that never made it to the plate would go here. Scattered in heaps on the ground, the pile was the remains of the upturned project he had christened three weeks before the vandal unwittingly stumbled upon it: a compost pile. “It was really nasty,” Walton gloats, smirking at the prospect of his only revenge for the unnecessary kick-and-run destruction: the vandal’s unpleasantly smelly, soggy surprise. Unfazed by the setback, Walton found himself increasingly more committed to the project. Today, fertilizing his garden with leftovers from the kitchen and dining tables is as important to Walton as growing, from seed, much of the food he cooks at Markethouse. “There’s a little more pride involved when you grow something from seed and serve it on your restaurant table,” he says. Walton starts planting seeds indoors in early March, after placing his order with Baker Creek Heirloom Seeds in Mansfield, Missouri. The warm breath injected with the turn of every page of a Baker Creek catalog on an icy Chicago day is unavoidable. Each year, the publication trumpets news of recently discovered seed varieties. “Chocolate Stripes,” a brownish-red tomato with bright red stripes, is poised to be one of this year’s favorites. It could eventually become as sought-after as the now ubiquitous Green Zebra tomatoes that bowed onto the urban gardening scene a few years ago. Walton has coddled his share from seed to table. The Culinary Institute of America alum debuted his Markethouse gardens in 2009, the same year he opened that restaurant. The gardens weren’t a hard sell. A thoughtful, cost-effective use of empty urban brown space, they are like Walton’s love letter to Streeterville. The crowning jewel of Walton’s garden is his martini garden. Although a few cocktails have been enjoyed in the gardens, his martini garden is more than just a catchy name for a summertime tippling corner: The flavorful collection of herbs—lemon balm, sage, tarragon and chocolate mint among them—are grown to be infused in vodka to intensify the taste of martinis made at the Markethouse bar. “It’s a lot of nose for the mixologist to infuse,” he says. Cocktails like Markethouse’s lemon martini, made with lemon basil-infused vodka, get a special smooch from Walton: a pickled lemon-slice garnish. In summertime, Walton spends up to two hours a day tending the gardens. “I like to be outside. I used to golf, but my clubs are like show pieces now,” he quips. His restaurant staffers, eager for the occasional kitchen break on balmy days, pitch in as well. “Gardening is something that is in your soul, and you can see it in others’ too,” Walton says. Megan Van Petten, the bubbly woman Walton married in August 2009, is also quick to lend a hand. But Walton thinks she may have over-watered some plants last year. “She thinks she has a green thumb,” he jokes. When Walton heads home from the restaurant, he doesn’t stop gardening. 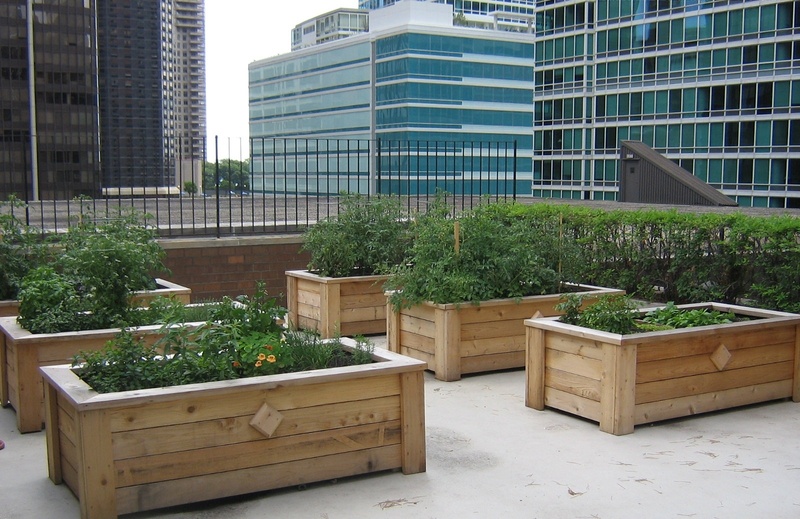 He and Megan tend another urban garden on the roof of their condominium building, a 450-square-feet or so plot just footsteps from Markethouse. Unlike the Markethouse gardens, which get a wind break from the McClurg building, Walton’s condo garden, on the fourteenth floor, suffers through its share of squalls. “I brought the plants inside a lot last year,” Walton recalls. Walton is so passionate about his farm to table and back again ethos he now shares it with students every other week at his Tuesday night cooking classes in the dining room of Markethouse. Walton greeted his first class on a bone-chilling January night. Megan arrived first. While she may not have a green thumb, it’s clear she has a way with people. She visits enthusiastically with a few students, then happily takes her seat among them at one of Markethouse’s deep brown-covered tables to engage in a “Slagel Family Farm Chef’s Tasting.” The Markethouse staff has spent the day preparing a pig that was raised on the Slagel Farm in Fairbury, Illinois. All of the pig will be eaten tonight during the class. The animal has been plumbed, nose-to-tail. Even the bone marrow has been harvested and will be served. The class is attentive and silent as servers present plates of smoked bone-marrow terrine, a milky-colored, gelatinous circle that resembles a slab of bacon lard. This is accented with pickled crabapple-spiked apple mustard. The quiet interest from the students quickly turns to excitement over the food they’re enjoying. Walton makes the space feel more like a family room than a classroom. Walton, who will admit he admires British chefs Gordon Ramsay and Marco Pierre White, would rather talk about how his family has inspired him. As the youngest of his siblings, he spent more time in the garden with his mother while growing up in Ottawa. Walton merges family tradition with the precision and innovation of modern cuisine: During the starter course, Walton introduces duck fat powder, a wink to Chicago’s molecular gastronomy culture. He makes the powder by emulsifying duck fat in tapioca starch and incorporating maltodextrin to give the powder a shelf life boost. “Duck fat powder adds another flavor element, without just putting grease on your plate,” Walton says. Duck is a focal point of Walton’s second course, too, in the form of an egg. A duck egg pulled from a nest at Slagel Farm, poached, warm and runny, tops a slice of juicy pork belly. Walton gives an egg-poaching lesson, emphasizing the key: continually spin the egg with a spoon until it is cooked solid. A smear of Dijon vinaigrette spices the duck egg-on-pork-belly small plate. For a third course, Walton places a small hunk of cooked pig on a grilled crostini and serves it with a dollop of rich, tangy mouth-popping raisin mostarda and a drizzle of maple bliss, which is like thin maple syrup. A fourth plate arrives with diced root vegetables and a tiny slab of speck, a piece of fall-apart-moist meat that has been flavored with juniper. “Speck is the same as prosciutto, but smoked,” Walton informs his students. He intensifies flavor with persimmon, celery root and peach, which Walton has pickled, one of his trademark techniques that brings the summer flavor to a winter table without flash-freezing or thousands of miles of shipping. Walton pairs the course with Goose Island’s Pepe Nero beer. The fifth and final plate is the Mild Winter brew by Goose Island, accented by Walton with bourbon syrup, a caramelized reduction made with the liquor. His assistant, John Mullein, glazes the bottom of the inside of each beer glass with the thick syrup, rolling each glass several times to generously coat it before pouring the beer. The students alternate sips with bites of warm bacon butterscotch bread pudding. The rich sweet is Walton’s latest variation of what is now somewhat of his signature dessert: bread pudding. It is topped with a scoop of fast-melting ice cream. “We actually made bacon brittle for this dessert,” Walton says proudly, as he serves full bacon slices liberally coated with crunchy toffee. At this January class, Walton serves wintry hibernation food. The hearty dishes are exactly what we crave as the temperatures drop and the snow falls outside, and it’s also what’s in season. But part of the pleasure of eating in season is looking forward to what’s next, and Walton can’t wait to get back out in the garden. He will start growing his 2011 plants indoors in a few weeks, and he’s daydreaming about what he wants to plant, what he plans to cook. Walton also has expansion plans for the garden this year. He’ll double the growing space, adding six more cedar boxes. He’ll make enough room in one for the space-hogging celery root plant. He purées it to make sauces and cubes it to use in sides. He’ll also add beets, parsnips and carrots. Walton won’t let last summer’s compost kicker set his recycling plans back. He plans to build a new, sturdier compost container. Composting is great for growing plants, too. Unlike most synthetic fertilizers, compost contains more nutrients that are released slowly, over months or years. Compost helps sandy soil retain water, but also loosens tightly bound soil, improving drainage and making the soil easier to work with. 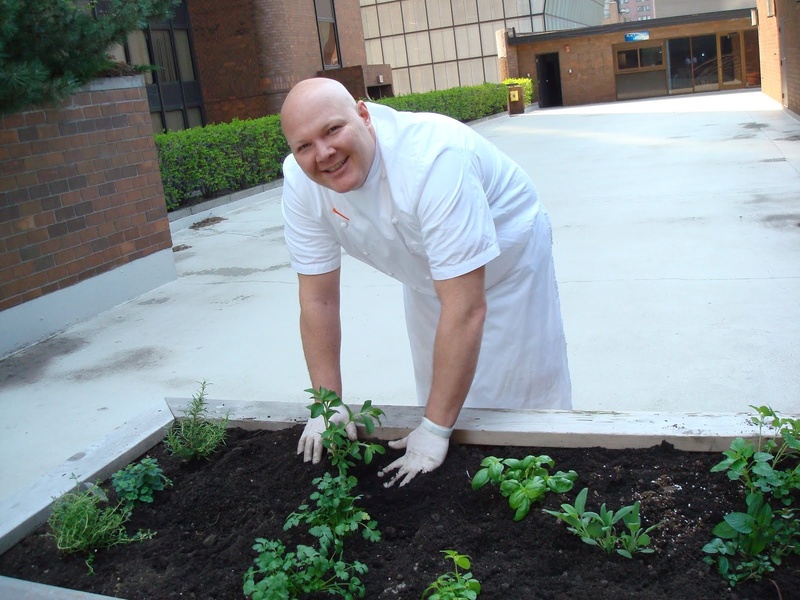 “Serving food you’ve grown from seed at your restaurant is one thing, but using compost from your kitchen to fertilize the garden where the food is grown takes everything full circle; it’s like another little reward,” he says. And that reward is passed on to his customers, who can take pleasure in knowing whatever they leave on their plates isn’t entirely wasted. The EPA reports less than three percent of the thirty-four-million tons of food waste generated in the US in 2009 was recovered and recycled. Thirty-three-million tons were dumped into landfills, creating the largest source of human-related methane in the U.S. When it’s available, composting is far easier and cheaper than buying a hybrid car or giving a home a sustainable retrofit, but just as green. Composting is becoming as key to running a topnotch restaurant as local food and organic ingredients, and Walton isn’t the only one who’s got the dirt. Ken Dunn, founder and president of The Resource Center, a nonprofit organization involved with composting more than twenty tons of Chicago restaurant and cooking-school food waste every week, picks up food waste for a small fee from Chicago restaurants like Rick Bayless’ Topolobampo, XOCO and Frontera Grill. All three restaurants are housed under Bayless’ rooftop garden in River North. Every week, The Resource Center transports eight tons of their organic food waste to composting locations in the city. Much of the vegetables purchased for the restaurants are fertilized with Resource Center compost and grown on the center’s City Farm. “We’re not composting for financial gain; it’s about being socially conscious,” says Topolobampo chef de cuisine Brian Enyart. Bayless isn’t alone. The Pacific Garden Mission, purportedly the oldest continuously run rescue mission in the US, served 750,000 hot meals in 2010, drawing upon the lettuces, tomatoes and peppers they grow in two greenhouses that span 5,000 square feet. After meals, volunteers chop food scraps into half-inch-by-one-inch pieces. Some 200 pounds of food waste every week goes to the compost bins housed on the south side of the mission’s greenhouse. Everything except dairy products and protein is composted. Compost is stored near the gardens in thirty bins made of inexpensive pine and old wood pallets where worms are put to work breaking down the scraps. Like Walton, Fuller finds meaning in the circle they create by using composted food to grow vegetables. He compares it to the cycle of life that is the main purpose of the Mission, a place where drug users often find the necessary tools to reclaim their lives. “We’re a faith-based organization. It is written in the Bible how a seed must die to become new,” he says. Fuller says you don’t need a big organization to get started composting. “You can compost in your basement,” he says. But Dunn is concerned that Saturday afternoon composters do their homework before setting up what could be a very smelly shop. That’s one of the reasons some cities are deciding to make composting citywide. Communities like San Francisco, where the nation’s first law requiring all residents and businesses to recycle food waste was passed in 2009, have taken action. Discarding food waste into a separate recycling bin is now mandatory in the city by the bay—punishable by fines of up to $1,000 for businesses; $100 for households. The amount of composted food waste has grown from some 400 tons to about 500 tons every day. The ultimate goal? Zero waste in landfills by 2020. Eco-trend-setting Seattle requires—but does not fine—households to arrange for food-scrap composting. 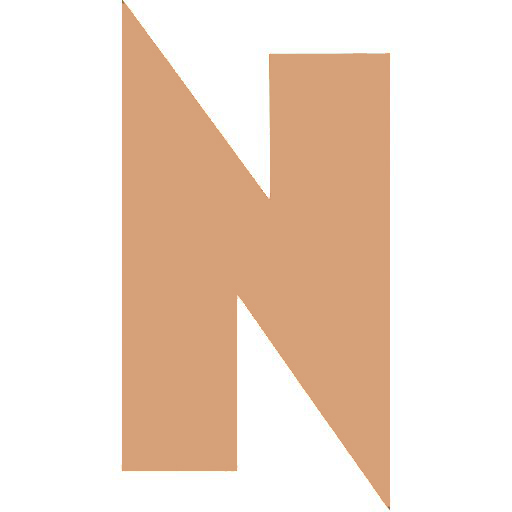 Some communities, like Nantucket, Massachusetts, which has a year-round population of 10,000 residents but swells to 50,000 during warmer months, have successfully enforced such citywide campaigns. In 1994, the tiny island town, located thirty miles off the Atlantic coast, was mandated by state law to close its landfills. Ten years ago, still responding to the ultimate drastic reduction in resources, Nantucket began requiring food-waste recycling. But Chicago’s not Nantucket, and for some, envisioning a San Francisco-like city mandate here seems like a stretch. Still, there are a few glimmers of hope for composting in the Second City. 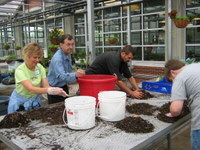 In August of 2009, a bill introduced by Illinois Senator Heather Stearns passed, making it more economically advantageous to run a commercial compost operation. Dan Rosenthal, owner of Loop restaurants Poag Mahone’s, Trattoria No. 10 and Sopraffina Marketcaffe, is blazing what many believe will be a trail leading to viable commercial composting. Plans to begin operating his proposed company, Chicago Composts, are in the permitting phase. He hopes to obtain a permit sometime this summer, and says the city’s been helpful in getting him through the bureaucratic process. In the meantime, activists have jumped ahead of city lawmakers by policing themselves—and others. 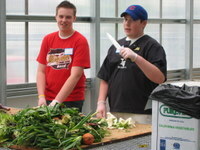 Kendall College began an in-house food-scrap recycling program four years ago. About thirty-five bins, fifty gallons each, are loaded with food waste and stored in the school’s walk-in refrigerator. Four times a week, the bins are carted to an off-site facility to be composted and used to fertilize gardens throughout the city. Some of it boomerangs back to Kendall—to fertilize the school’s sixty-foot-by-forty-foot gardens where lettuces, tomatoes and potatoes are grown by the students. At the culinary school, city fines can seem less menacing than another, often more punishing consequence: peer pressure. At Kendall, students reach into garbage bins in the cafeteria to remove misplaced items from the containers used for collecting food waste. Renee Zonka, dean of the School of Culinary Arts at Kendall College, says students now take composting as a given. “Our students will police each other. I hear them telling each other: ‘That doesn’t go in that can; it goes over here,’” she says. Scott Walton will demonstrate cooking techniques as part of World Festival Chicago at Soldier Field on March 7. The event is an annual program of Common Threads, a non-profit organization that teaches low-income children to cook wholesome, affordable meals. And weather permitting, Walton’s March 22 “From the Garden,” Heartland 101 class will feature student tours of the Markethouse rooftop gardens.